Three teenage Lorde fans from Israel are suing two New Zealand women—in New Zealand—for “emotional injury” caused by their alleged role in Lorde’s decision to cancel her Tel Aviv concert. Israeli law group Shurat HaDin is suing on behalf of the three teenagers for around $13,000 in damages. According to ABC’s Australian affiliate, this appears to mark the first lawsuit brought under a controversial 2011 Israeli law that allows lawsuits against anyone pushing a boycott against Israel or Palestinian lands illegally occupied by Israel. Critics, naturally, have expressed concern that this law infringes on freedom of expression, because it does. The law was part of a continuing effort in Israel (and the U.S) to counter the Boycott, Divest and Sanctions movement, which works to pressure the Israeli government to end the occupation. “This lawsuit is an effort to give real consequences to those who selectively target Israel and seek to impose an unjust and illegal boycott against the Jewish state,” said Nitsana Darshan-Leitner, the group’s leader. 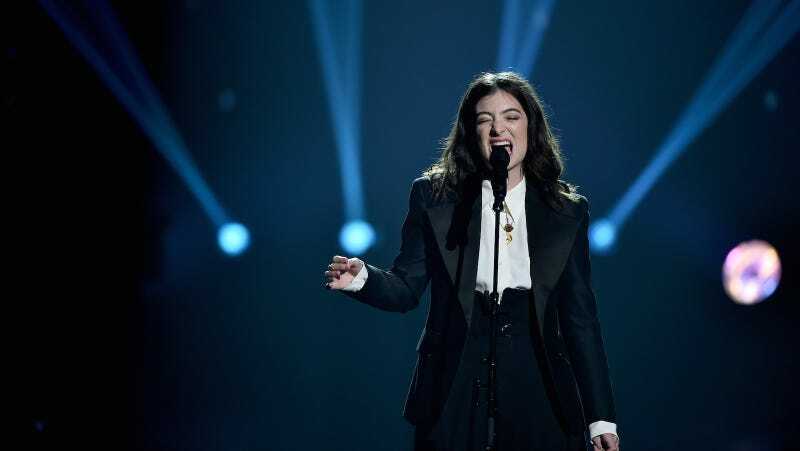 Justine Sachs, who is Jewish, and Nadia Abu-Shanab, whose family is Palestinian, had published an open letter to Lorde in December urging her to cancel her Tel Aviv concert that compared the Israeli occupation of Palestinian land to South African apartheid. Lorde responded positively to a tweet of the letter and cancelled her concert shortly thereafter. The teenage plaintiffs, Darshan-Leitner told The Guardian, “are going into the army next year, and they feel very shamed and hurt by the allegations that the New Zealand activists blamed Israel for.” An airtight argument if I ever saw one.